October 3, 2018 This post may contain affiliate links. 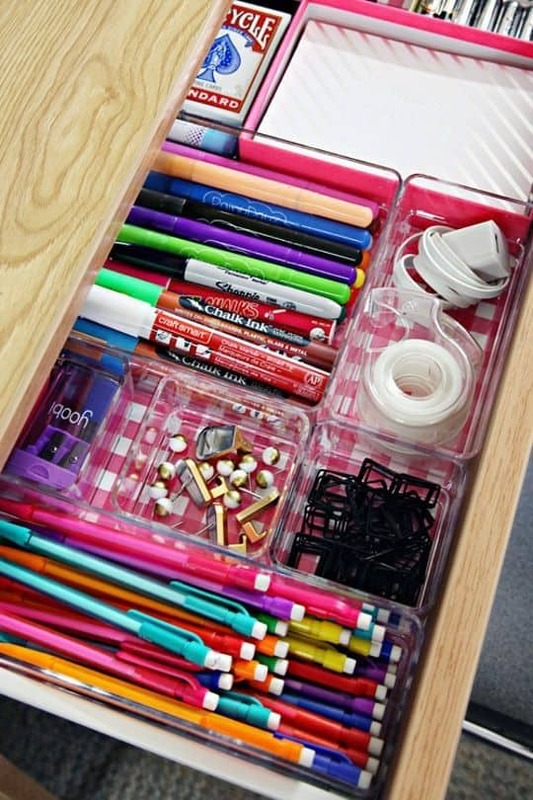 Get that junk drawer organized once and for all with these 7 Brilliant Tips for sorting and organizing the little odds and ends in your home.You’ll have to think of a new name for the Junk Drawer once it looks like this! We all have that one messy junk drawer. I have three (no judgement please). One in the kitchen, one in the bathroom and one in my office. It’s my place of shame where I put all those little things that don’t have a designated spot in my home. It’s handy. But it’s messy.So I say: No More! I’ve decided to declare a war on clutter and those beloved junk drawers are next in line to be organised. The problem comes down to those pesky ‘little’ things. Batteries, hair ties, clips and .. well… it’s a long list of little things that need to find a home. They aren’t big enough for their own drawer and I can’t just throw them away, so after a lot of searching, I found these brilliant ways to sort and organize those little things that are cluttering up my junk drawers. DUMP IT: There is no way around it. Step #1 is to empty the entire drawer. Save yourself time. Lay a sheet on the floor and dump the contents onto it. Literally turn the drawer upside down. DESIGNATE IT A SPOT: Now. Ask yourself if these items would belong anywhere else? If not (and chances are this will be the case because it’s the problem that got you here in the first place), it’s time to allocate them a forever home in a junk drawer. 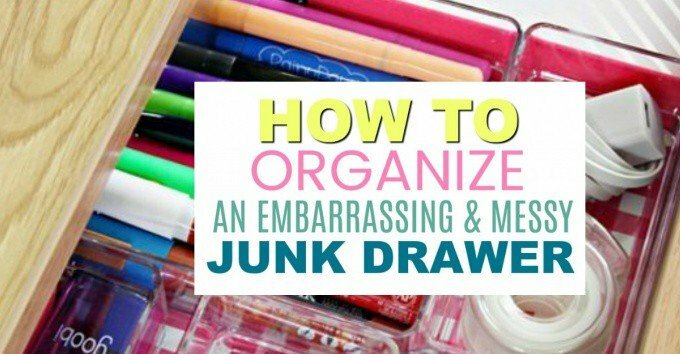 Don’t be ashamed of your junk drawer. Everyone needs one. It’s a place to keep the every day bits and bobs that are a little too small to have their own home. 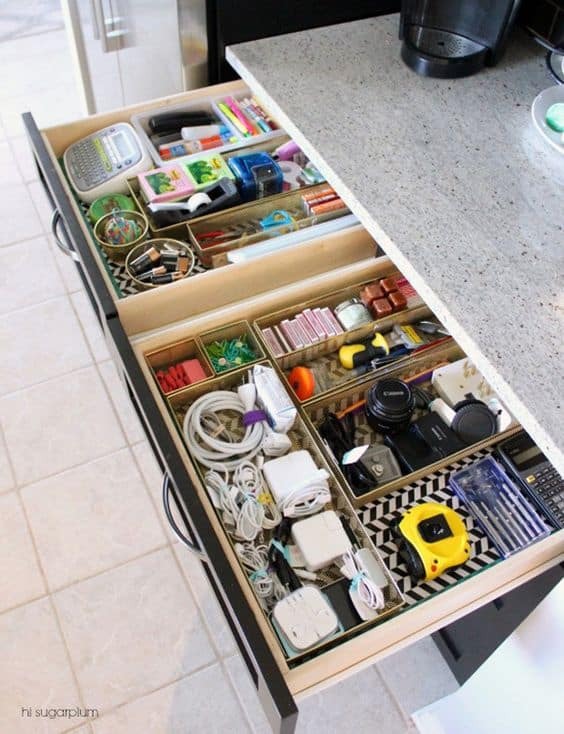 Creating a catch-all drawer will help you keep counters clear and give you a place to put those random but useful things. 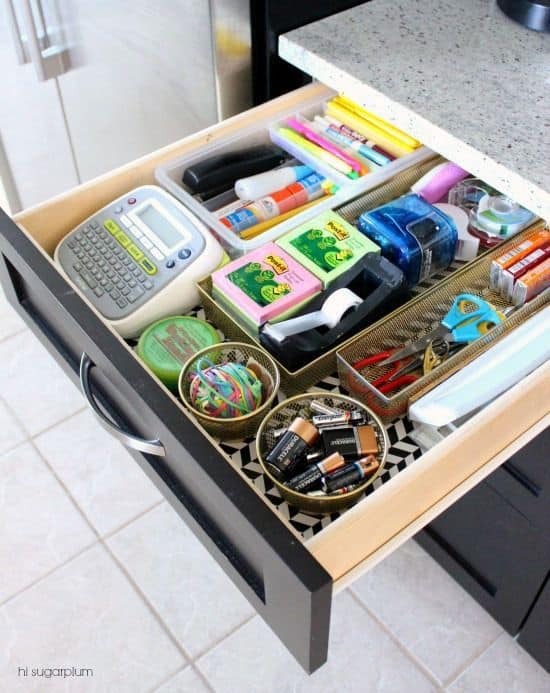 Just make sure to add some drawer dividers so things stay tidy in there. It can be a little annoying scratching around trying to find that one thing you know is in there. Creating modules inside the drawer help organize related items together and gives you a clean, birds eye view of the content. Labeling is nice – and helps the family learn where everything needs to go – but in all honesty, I never get round to actually doing this. You can get cheap plastic bins from the dollar store that will do the job nicely. Reuse those empty cereal boxes by Covering plain coxes with super-pretty paper or fabric. 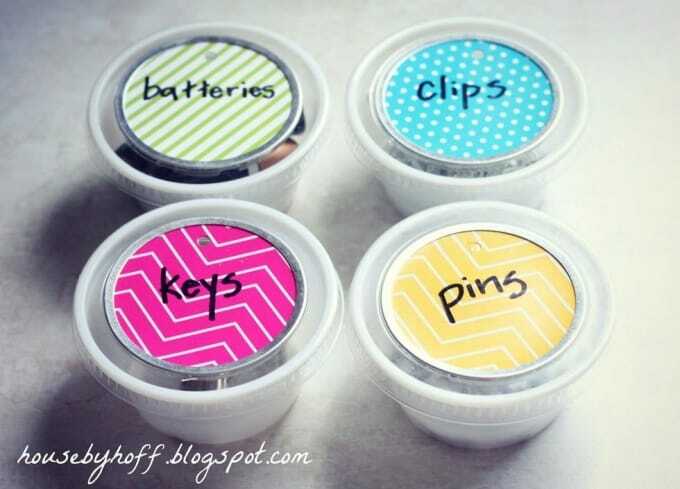 If you find that your drawer is overflowing, consider grouping these things into a drawer of their very own. Having a well organized first aid drawer is great if you have kids. 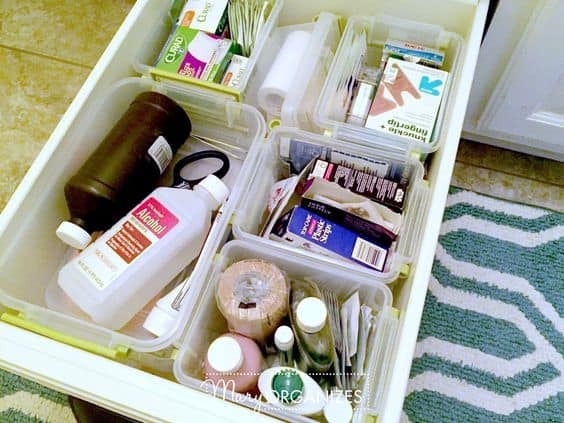 We have a large drawer in our bathroom where we keep all medical supplies. It gives me a quick birds eye view of what’s available and what need to be restocked. We all have one of these in our kitchen. That drawer where we keep everything ‘else’. 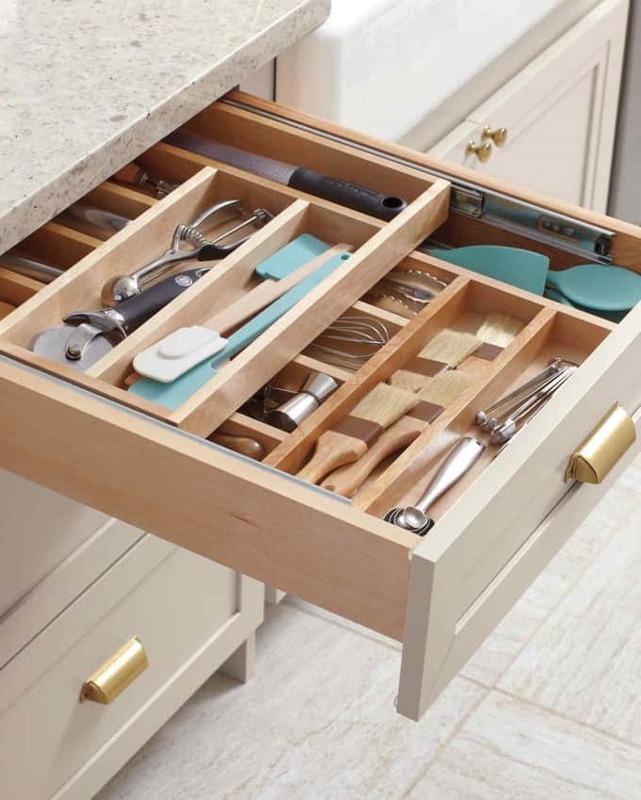 This tiered cutlery drawer doubles the space and keeps all your kitchen odds and ends neat. 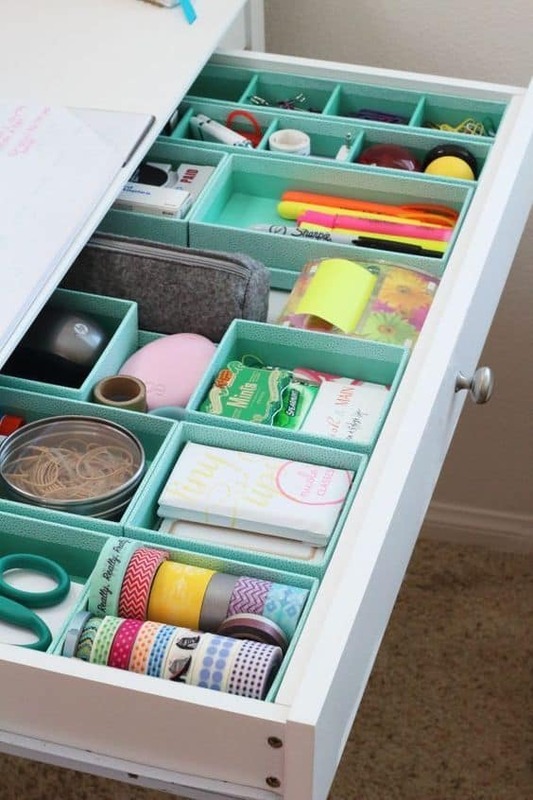 Never lose that sticky tape again with this gorgeously organized craft supplies drawer. 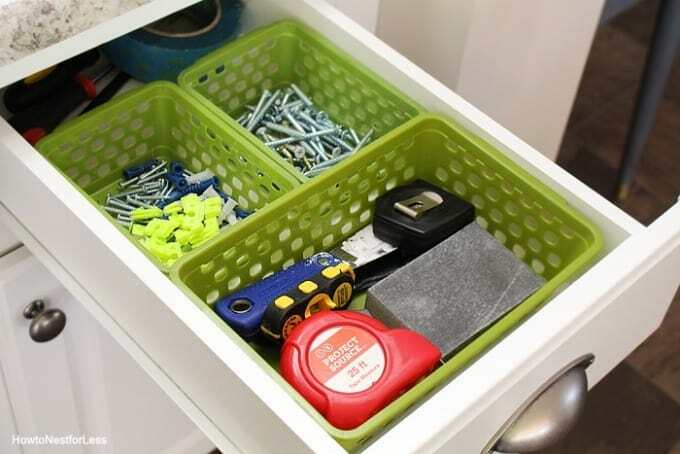 You don’t need to keep your entire toolbox in your drawer – just the things you know you’re going to use around the home. Not quite the same as the craft drawer. This is the catchall drawer for office supplies, excess school supplies and stationer items. 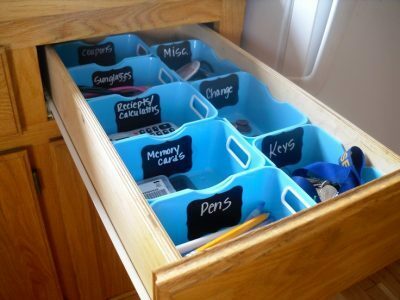 The kids come to this drawer if they need extra supplies for school. All I do is keep it stocked up. Keeping the drawer neat helps me see what I’m running low on. Finally! A place to store the batteries! I’m not sure how it happens, but we accumulate A LOT of electronics stuff. Yup. I use the word stuff because most of the time, I have no idea what to do with it. Whenever you buy an electronic device, it always comes with extra – well, stuff. I think a lot of it falls into the ‘throw away’ category, but the rest can be neatly organised in it’s own drawer. Reuse takeaway containers to keep all the little, loose things together. Use Velcro straps liberally. 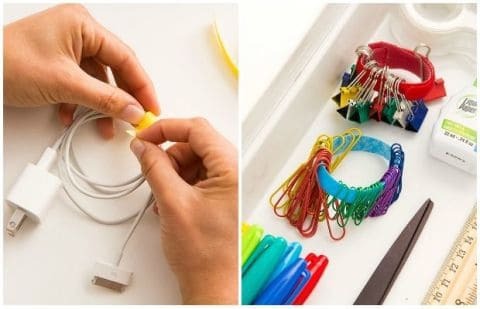 It’s a great way to tie electrical cords neatly and bundle everything from hair ties to elastic bands. 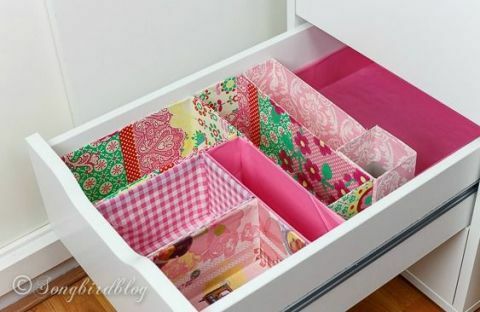 Line your drawers with pretty paper (or clear acrylic). This catches any dirt and dust and makes cleaning them so much easier. The secret to a neat and organised home is to create a place for everything. Books on the bookshelf, jackets in the closet, brushes in the bathroom. But what do you do with the little things like rubber bands, hair ties, batteries and spare pens? They end up in the junk drawer. 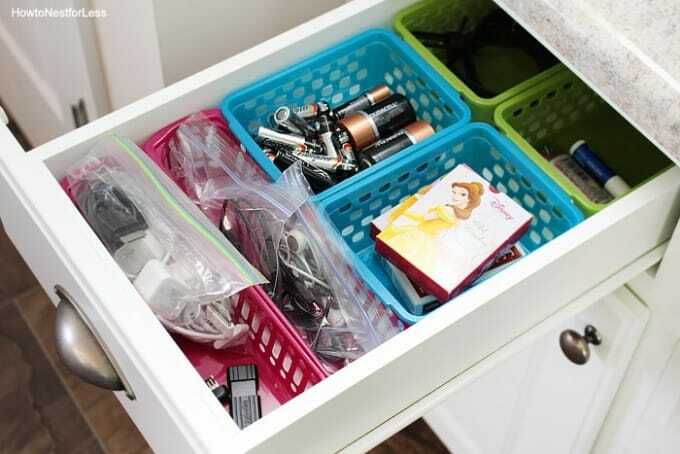 These 7 Junk Drawer Organisation tips show you how to divide up that “junk” and make everything a little easier to find. Be sure to Subscribe to our newsletter, like our Facebook page, and follow us on Pinterest for tasty recipes, clean eating tips, and healthy family resources. For more delicious and nutritious recipes from Clean Eating with Kids, check out all our family friendly Clean Eating Recipe here.